Nothing says fall like acorn squash! This has become our most beloved squash whether baked simply or stuffed with a hearty filling. Most of the ingredients for this autumn supper came from our CSA or the Ithaca Farmers Market. I also tried to replicate a dish from one of our favorite restaurants, Just a Taste. For the acorn squash, I decided to just bake it with some brown sugar and maple syrup. 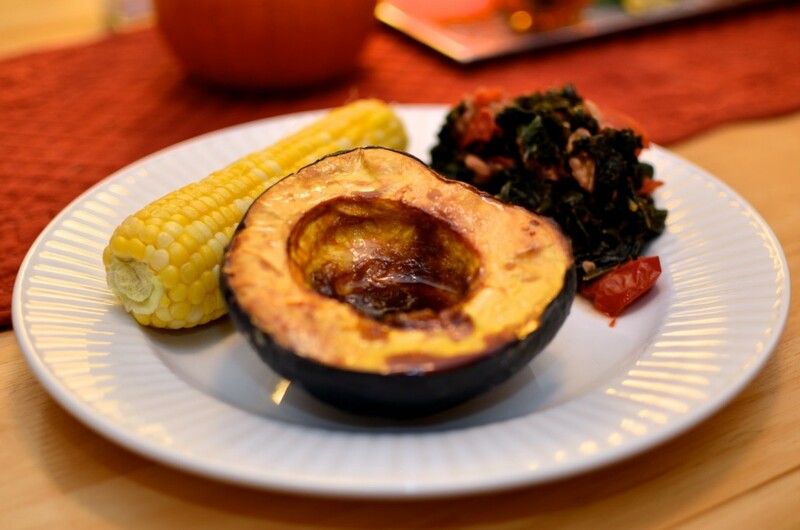 An easy recipe for classic baked acorn squash from Simply Recipes was used in this meal. The ingredients were all on hand and it saved me from creating a stuffing and prolonging the preparation. It was just the right amount of sweetness and baked to perfection! 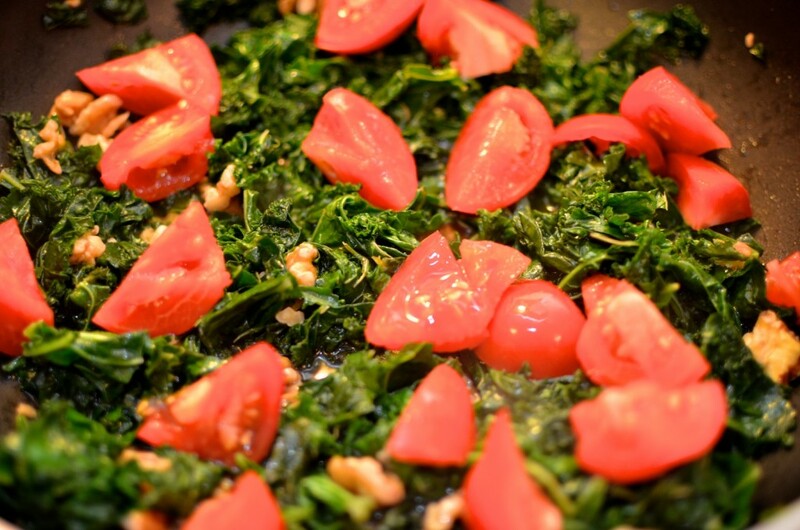 For the braised greens, I was inspired by the garlic braised greens with walnuts, tomatoes, sherry vinegar and blue cheese dish at Just a Taste. I used red cooking wine (as I didn’t have sherry on hand) and a vegan feta soy-based cheese in place of the blue cheese. I used kale from our CSA as the greens for my version. It was very delicious and came together nicely in a large skillet on the stove top. My only regret was forgetting to chop up some fresh garlic to put in the dish. To top the meal off, we used fresh corn on the cob from Ithaca Farmers Market. Overall, we’d rate this entire meal 4 out of 5 carrots on the veganlicious scale! 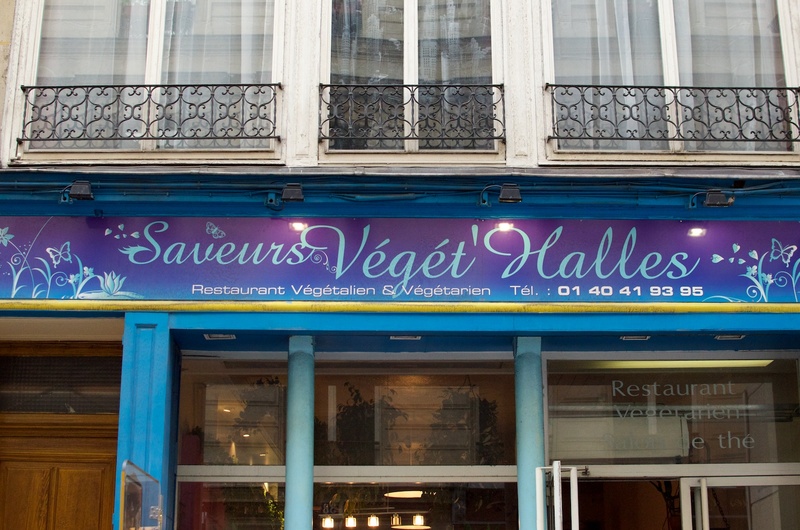 For our anniversary dinner in Paris, I wanted try Saveurs Végét’Halles, a vegetarian, mostly vegan restaurant based on some good reviews I read in online forums and websites like Happy Cow. 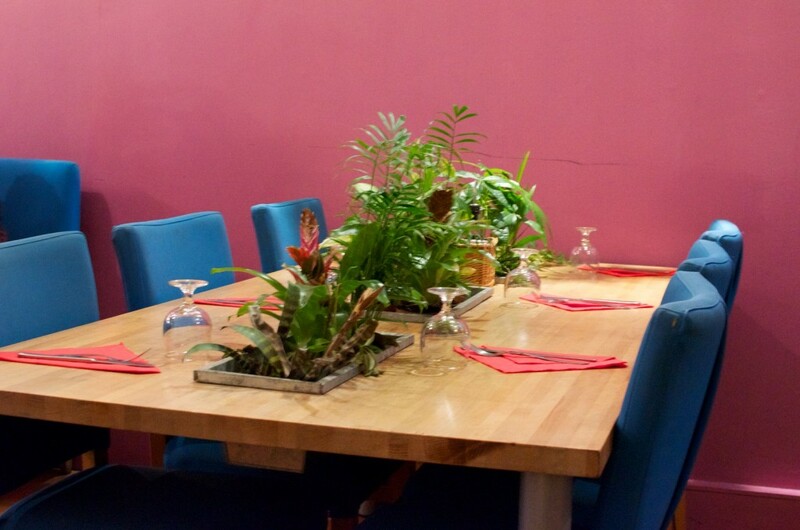 We were able to get seated right away at the dinner hour and appreciated the nice, simple decorum and clean bathrooms (I know it may seem strange to comment on bathrooms, but it can really make or break my impression of a restaurant). 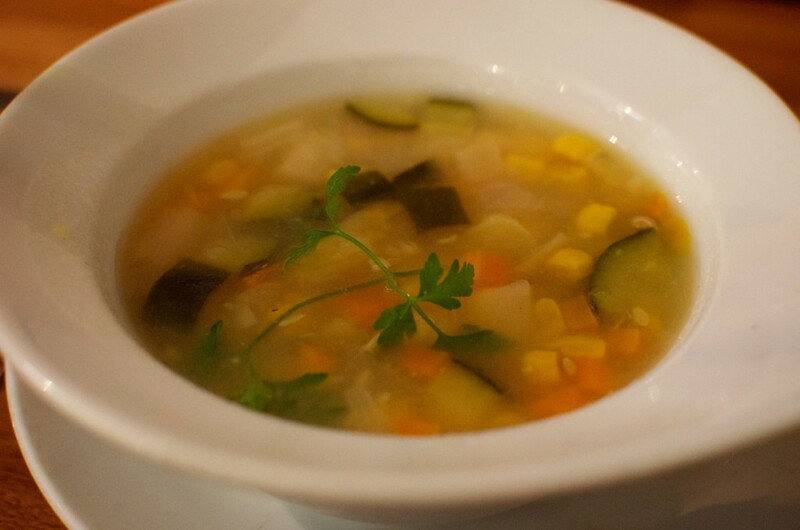 I ordered the cream of asparagus to start and was surprised and a bit disappointed when my soup came and looked like a mixed vegetable soup with chunks of various veggies. At first I couldn’t even find the asparagus and asked the waiter if I had been given the wrong dish. He assured me it was correct and that in France, cream of asparagus is just a mix of different vegetables and that there were chunks of white asparagus in the soup (which I discovered there were, but again not was I was expecting). The soup was decent, but a definite departure from my expectations for a “cream of asparagus” soup. 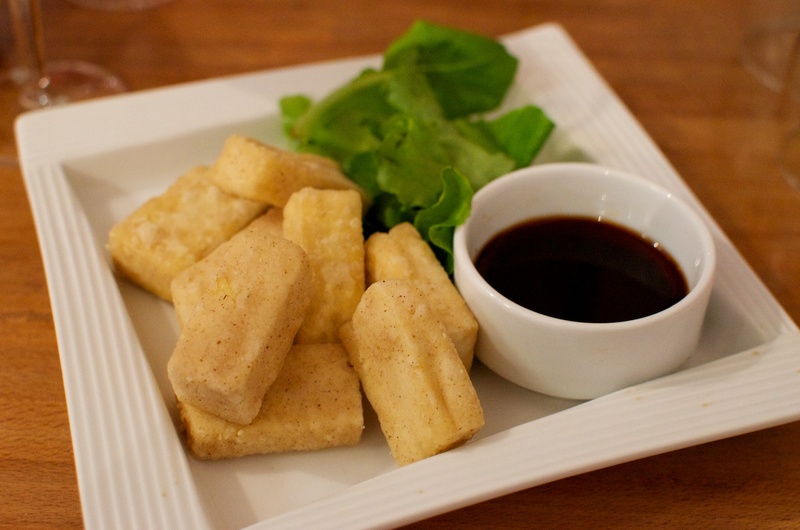 My husband ordered “tofu beignets” but also was disappointed when they just turned out to be fried tofu blocks. Again, they were okay in flavor, but did not meet up to his expectations. For my main entree, I ordered one of the specials for the evening which was a broccoli, mushroom and tomato tart which came with a grain and some mashed root vegetables (not sure what it was). 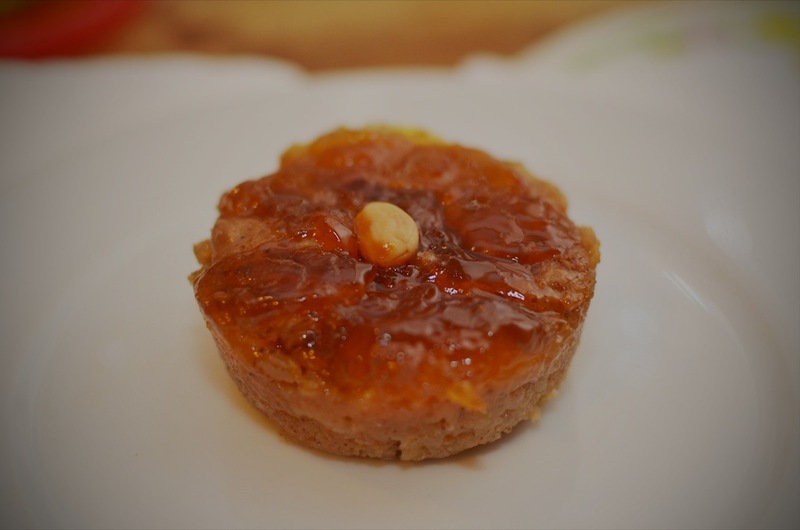 The tart was devoid of much flavor to be completely satisfying but was palatable enough. The main flavor that stood out in the tart was the broccoli. The side dishes were also lacking in distinct flavor and could have used more seasoning. My husband had the salade océane, which had faux shrimp on top. 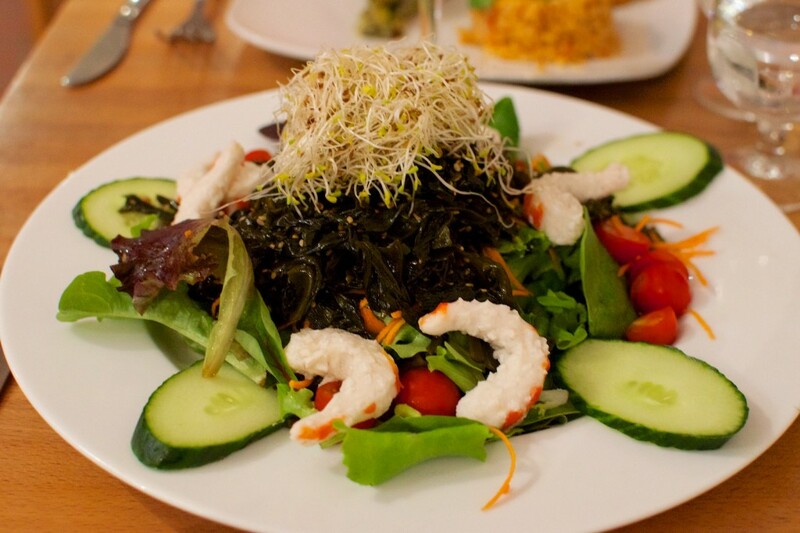 The dressing was nice, though a bit heavy on the seaweed. He didn’t eat most of the plain shrimp as it wasn’t appetizing enough on its own. It didn’t look too appetizing to me either and I avoided taking any of his scraps. The best part of the meal for both of us were the desserts. 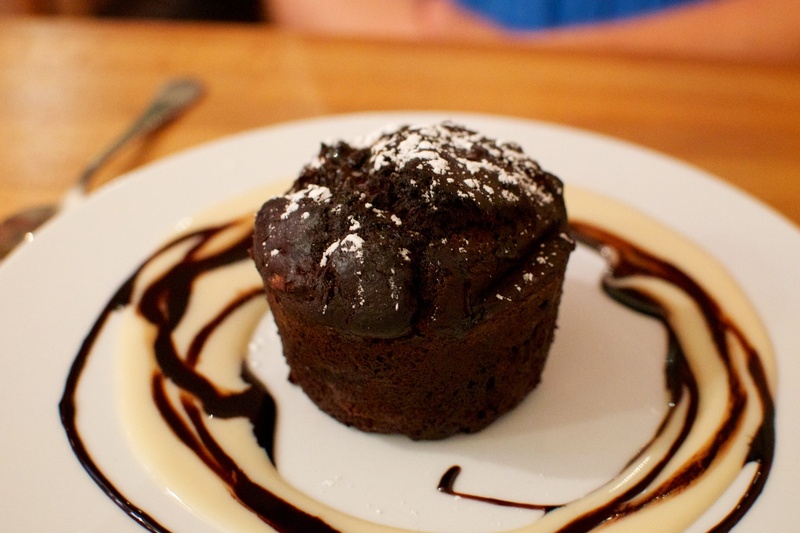 I ordered the chocolate banana cake, which was rich and delicious. 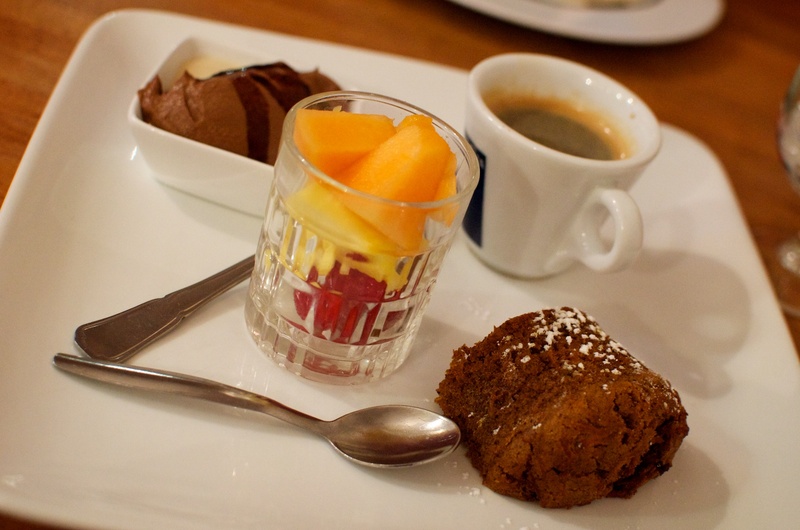 The hubs was impressed that they offered a vegan café gourmand, which consisted of espresso, carrot cake, chocolate hazelnut mousse, and fresh fruit. He was pleased with this arrangement and left a clean plate. Overall the savory portions of our meals were somewhat bland. 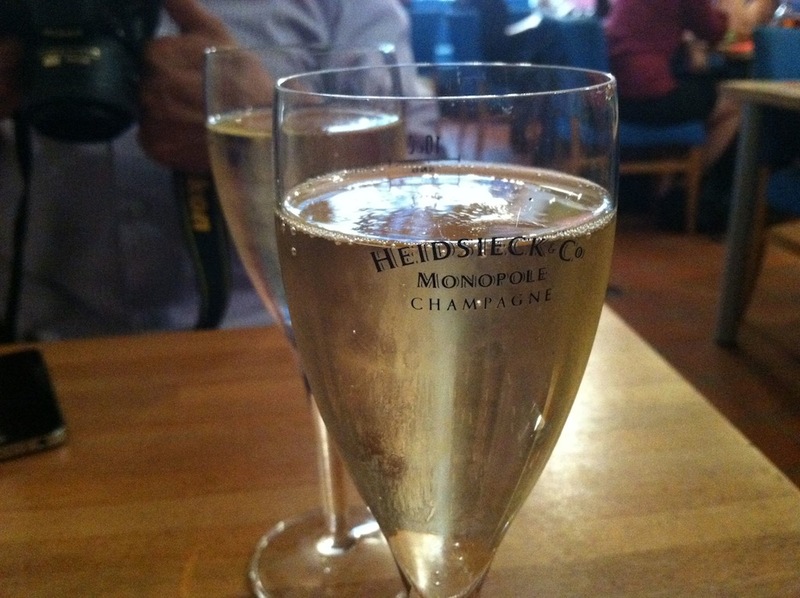 The pluses included decent service, tasty champagne, the desserts, and the clean appearance of the restaurant. 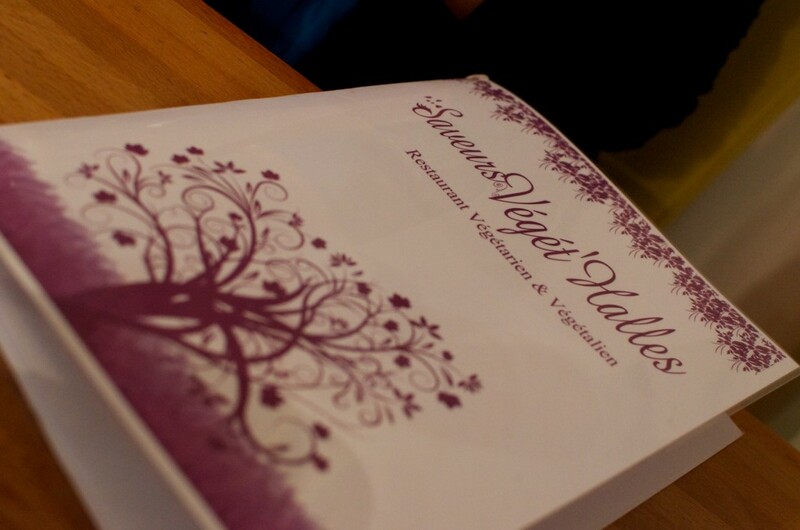 We rate our experience with our meals as 2 1/2 carrots out of 5 on the veganlicious scale. We recently were in France, visiting my husband’s family and sightseeing in the French Riviera and Paris. I was nervous about traveling to France, assuming I would be able to find little to eat vegan-wise. While I did mostly eat salad, cheese-less pizzas, baguettes, and vegan croissants, we were able to explore a few gems here and there that were either vegetarian, vegan, or very veg-friendly. Le Speakeasy was the first all-vegan establishment that I was able to visit during our trip. 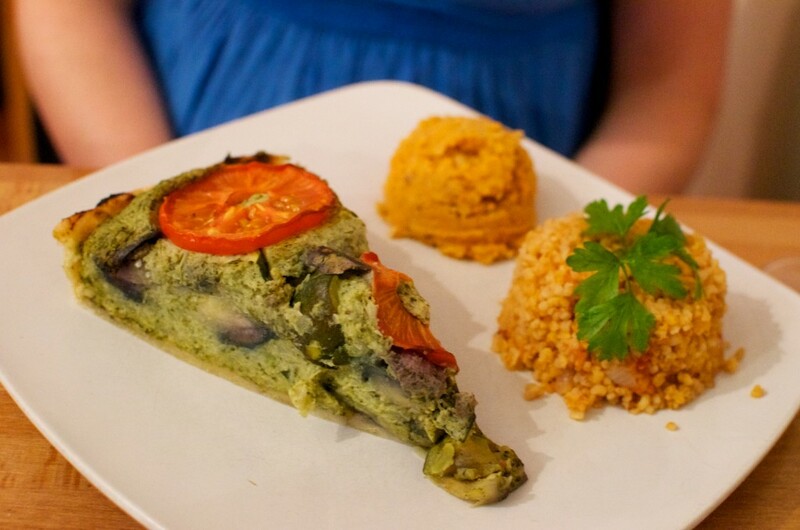 While the restaurant does not boast a website, I was able to find enough information online from the HappyCow reviews to determine this was the only vegan restaurant in Nice and was worth checking out. The restaurant was very small, fitting about 12 people maximum. The proprietor and chef was a lovely woman originally from California who moved to France in the ’70s. She was a joy to talk to and provided us some interesting insights about Nice, French culture, and some of the hostility she’s received for being a vegan and owning a restaurant in that area. From what I read online and saw in her restaurant, she seems to be a strong animal rights activist. She speaks fluent French and even had to deter a local who came to intimidate her during our visit. This was one tough older woman who earned our respect by the end of the meal. I wish her all the best. Onto the meal! 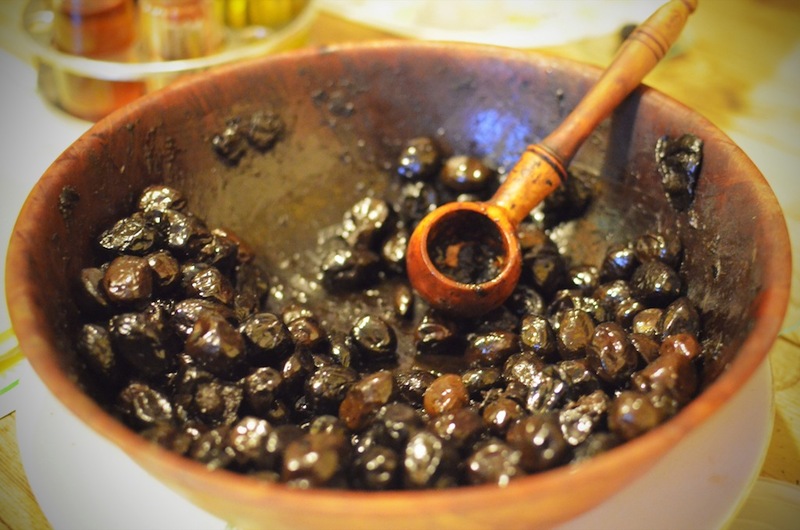 While waiting for our meal to be prepared, we were given a large wooden bowl of black olives. I wasn’t sure of the variety, but they were either kalamata olives or something very similar to them. We were hungry, so ate our fair share of them. My husband (who is not a fan of olives), liked them more than most olives he’s had in the past. We got the prix fixe menu, which included a starter, main entree, and dessert. 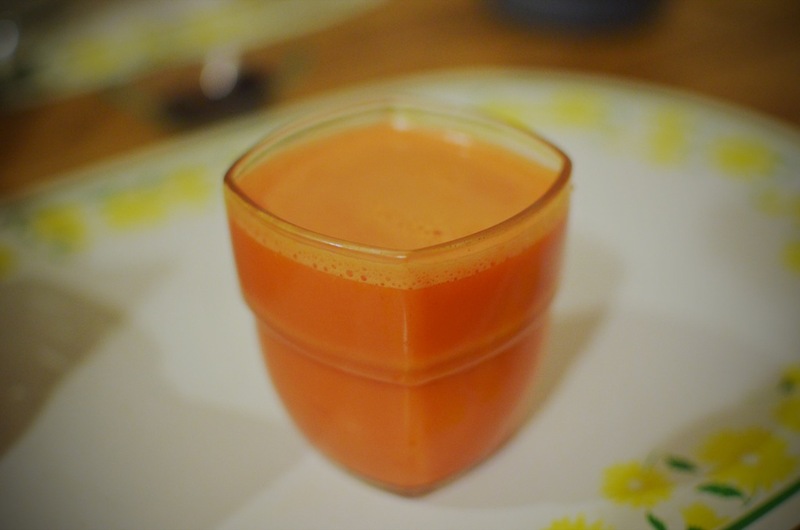 I personally enjoyed a fresh pressed carrot juice to start, followed by potato and leek pie with a tasty salad with fresh avocados, and banana ice cream for dessert. The potato and leek pie was hearty and delicious. The avocados on the salad were some of the best avocados I’ve ever had. I’ve never seen avocados quite this large and perfect in the States. I think the whole table was impressed by them. 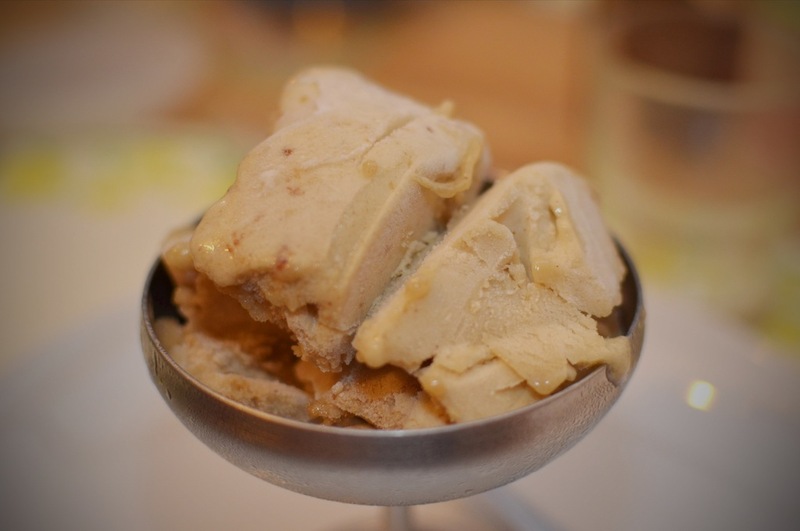 The banana ice cream was essentially frozen bananas made into a thick custard. It was good, but nothing memorable. 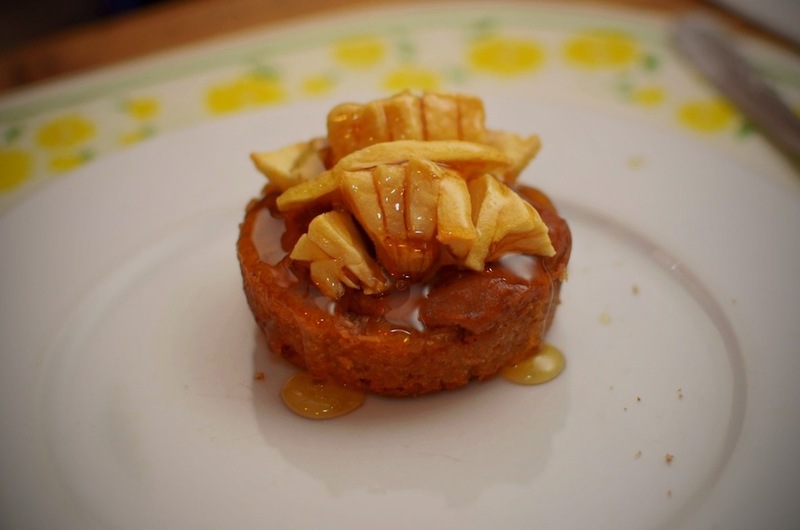 My dinner mates enjoyed some of the other menu items such as miso soup, quinoa with peas and sweet potatoes, and an apple tart and marmalade tart. The sweet potatoes were roasted perfectly, but the quinoa and peas were a little simplistic (we do tend to have a bias towards red or black quinoa over conventional). Both tarts had unique brown rice crusts that the group enjoyed. Having had many meals at some of the top notch vegan restaurants in the U.S., I can say that overall the meal we had at the Le Speakeasy was on the bland-side, taste-wise. There were several condiments on the table such as salt, apple cider vinegar, nutritional yeast (or a very similar substance), and soy sauce to add more flavor. Even with these spices, some taste was lacking. But the meal felt healthy and filling and the company of the owner (and supporting her business) made it worth the visit. If I ever return to the area, I would definitely visit again. Overall, we rate the meal a 2 1/2 carrots out of 5 on the veganlicious scale. 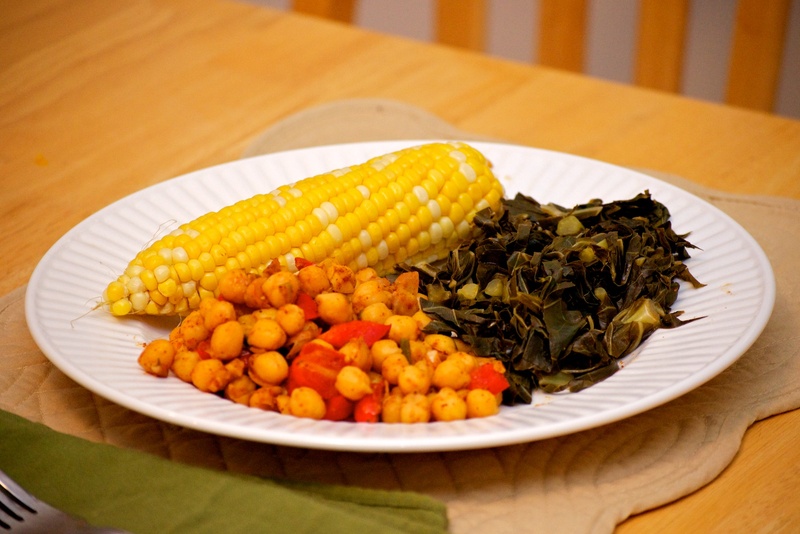 A simple, yet favorite go-to meal in our house is any type of beans and greens medley. I experimented with some spices and vegetables on hand to make this chickpea dish. I was originally planning on adding hot sauce but didn’t need to because the dish was spicy enough on its own. 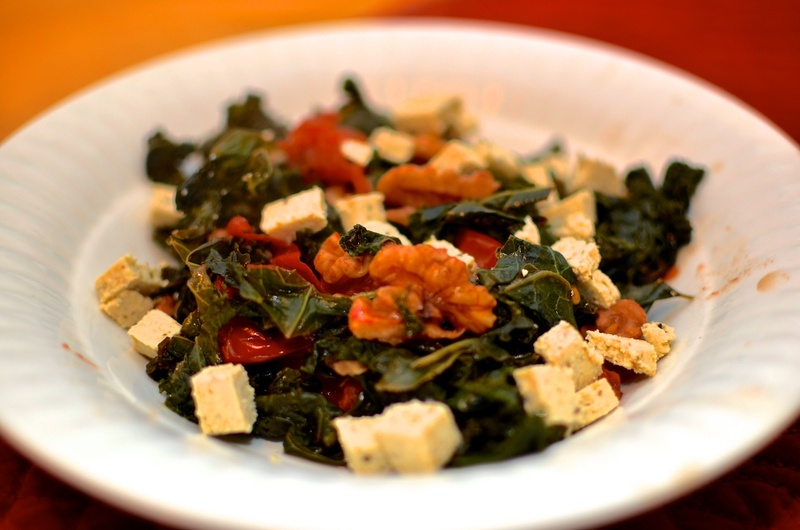 Using a very simple collard greens recipe of only 3 ingredients, I added some wonderful greens to the mix. For another dimension of flavor, I heated up corn on the cob and viola, this meal appeared! 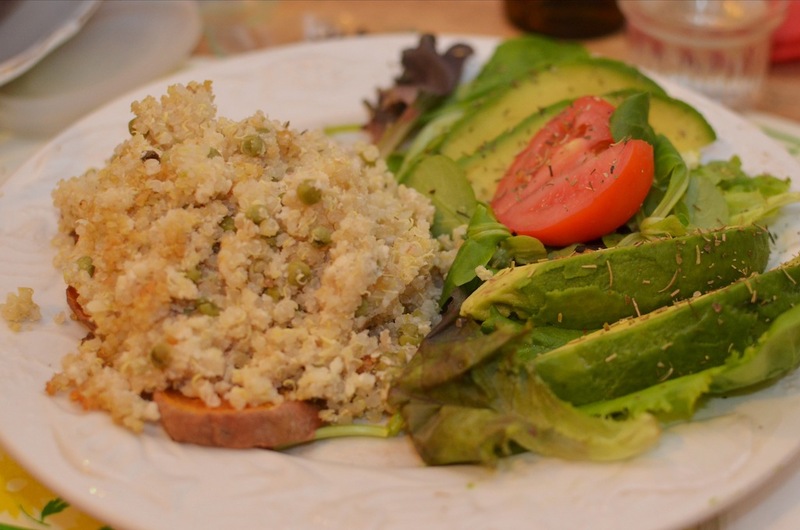 It was healthy, hearty, packed with fiber and flavor, and gluten-free to boot! Heat olive oil in a large pan or pot. Add red pepper and green onions and saute until they start to soften. Add garlic and stir, sauteing for 1-2 minutes (making sure not to burn). Add grape tomatoes and stir. De-glaze the pan with the white cooking wine. Add chickpeas (either dried chickpeas that you have cooked or canned) to the vegetable mixture and stir. Add chili powder, cumin, cayenne, salt and pepper, and mix well. 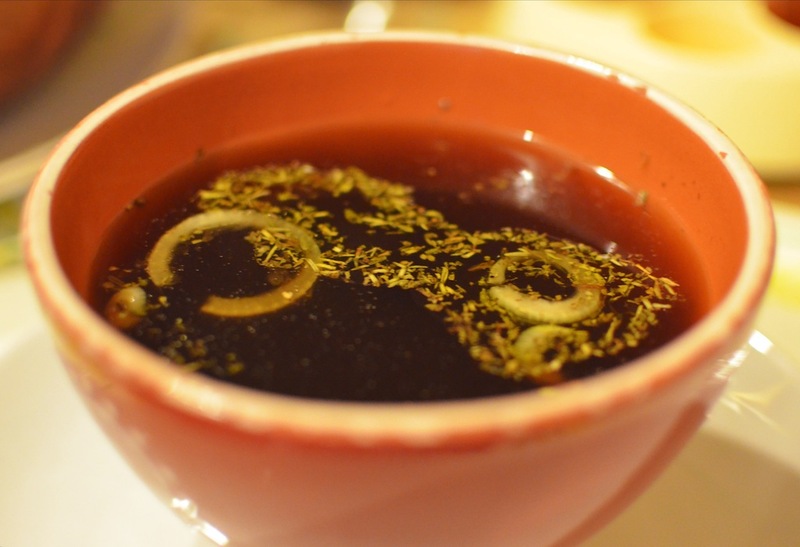 When completely warmed throughout, serve immediately. For the collard greens, chop one bunch of collards into strips and saute in a large skillet with 1/4 cup of water with the lid on. Saute until the collards become bright green. Add 2-4 tablespoons of ume plum vinegar and the cayenne pepper. Mix and allow to cook until the collards are softened enough to eat easily. Serve while hot. 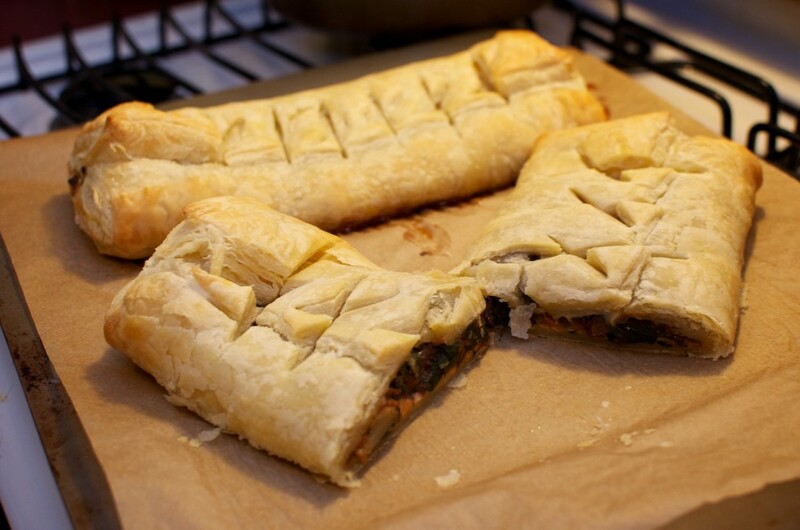 When you are in the mood for some greens and flaky puff pastry, have no fear, Nava Atlas is here! 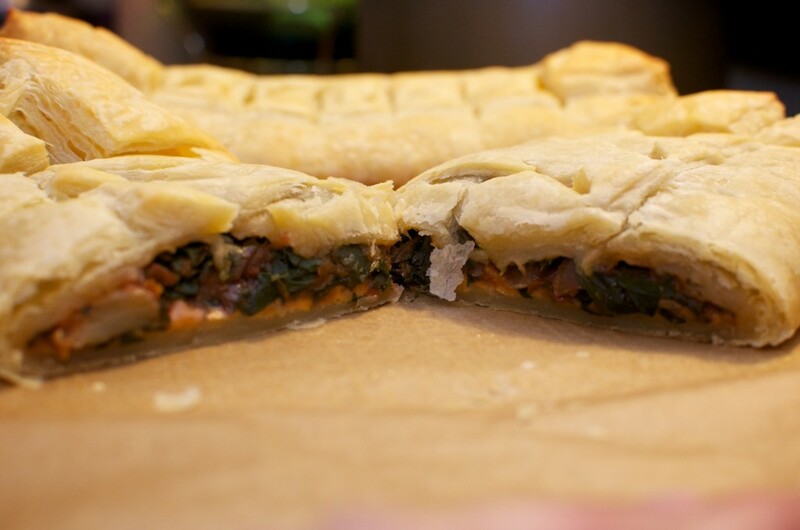 Using her Kale and Carrot Strudel recipe from Vegan Holiday Kitchen, I replaced the kale with swiss chard. 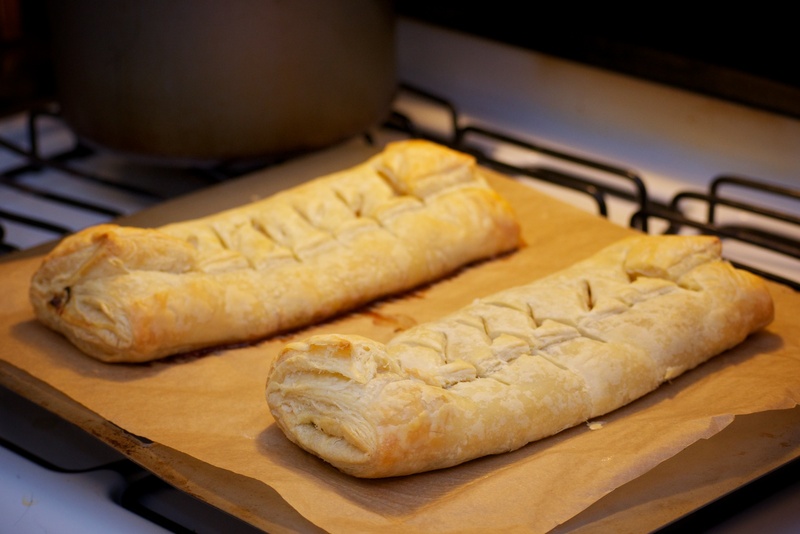 I also used Pepperidge Farm Puff Pastry sheets, which are accidentally vegan. I put Daiya cheddar shreds in my strudel and omitted them for the husband’s strudel. Both were delicious with a nice balance of flaky crust with a perfectly seasoned swiss chard vegetable blend inside. I have made this before during a holiday dinner and they went fast. 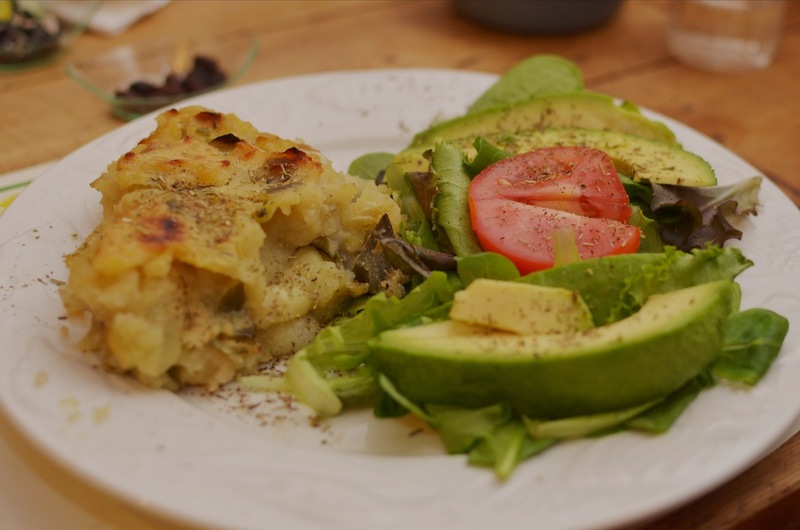 It’s great as a main course for 2-4 people or as a side dish for more. This is a dish to make over and over again! Change up the ingredients to give it a new twist and delight your family and friends. Overall, we’d rate this strudel as 4 1/2 out of 5 carrots!